The Ecolink motorized switch is an ingenious solution for those looking to add automated switches without having to remove and re-wire the existing switch. 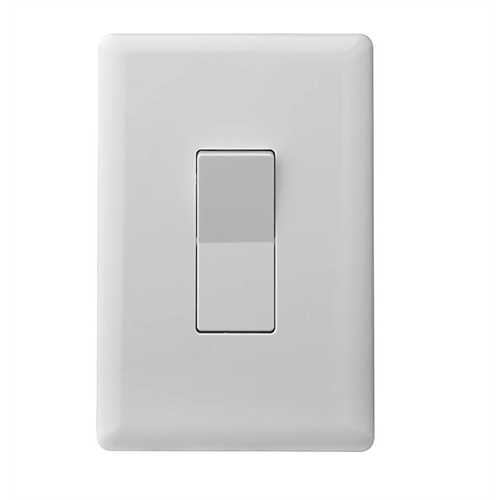 It's a great solution for wall switch locations without a neutral wire - where most automated switches won't work. Also perfect for automating switches that control a gas fireplace as the fireplace switch is normally operating at low voltage so powered Zwave switches can't be used. Since it's battery powered, the Ecolink motorized switch quickly converts gas fireplaces switches for Zwave automation control. 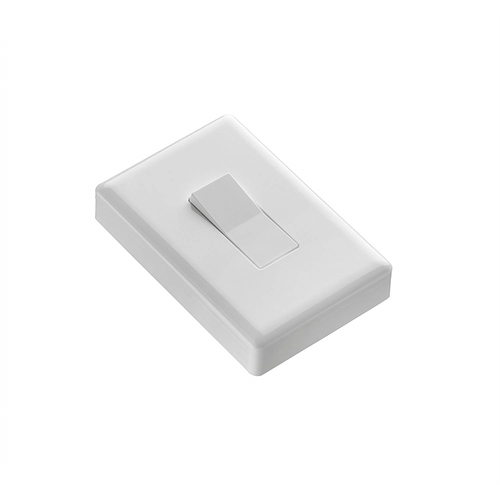 The SDLS-ZWAVE5 is a paddle style switch that installs in minutes. Just remove the wall cover plate, and affix it to the old switch with two screws, without having to modify anything else. Once installed, it provides ZWave automated control while maintaining manual local control. 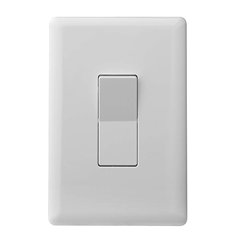 This switch supports ZWave Plus as well as standard Zwave and works with most brands of ZWave hubs. It can also be used with compatible automated alarm systems. Note: This is for single gang switches only - meaning a single wall switch. It will not work with double or triple switches in the same wall plate. It is a motorized device so when activated by Zwave you will hear a motor buzz momentarily. Runs on 2 x AA standard batteries. On/off control only, no dimming. Works with VeraEdge, VeraPlus, VeraSecure, SmartThings, Homeseer/Hometroller. Not compatible with Wink.